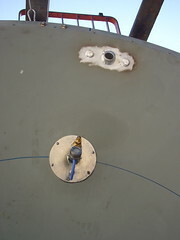 L: The top hole is for water control (it rains a lot in Stavanger where the EMF will be standing in November) so any water over this level runs out of the bowl. Simple, but effective. R: The rgb light fixtures allow them to be adjusted by height, angle and rotation. Lovely! 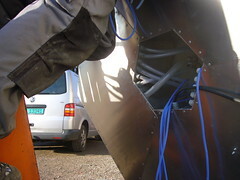 L: The bottom view of the fountain showing the water tubes running from the pumps/solenoid valve chamber, through the mid hexagon chamber and up through holes to the jet fixtures. 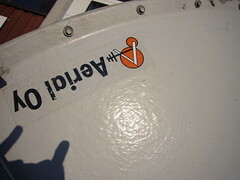 R: I haven’t noticed the parabola logo before. 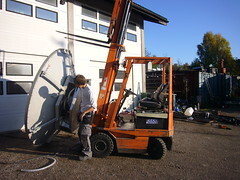 The fountain is moved back inside Frank’s workshop so that Marius can continue wiring. VLF box with large coil antenna: no response! VLF box with small sensitive coil antenna: lovely, rich sounds, from very deep tones, to textural rushes and wooshes and clear tones when close up to wireless devices. 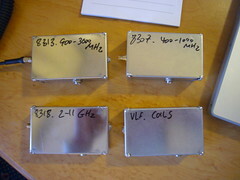 8318 box – 900 – 300mhz with medium board antenna: as above, but very raw and tough, heavy rockish and black metalish sounds. Fab sounds when a guy used a mobile phone about 6m away. 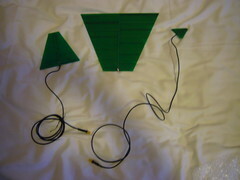 Question: How to protect the antennas from the elements and how to make them robust enough to stand outside, in public space for 2 weeks? So, the wiring is not quite finished, and we’re still waiting for the relay box. 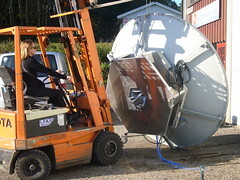 Frank still needs to put the doors on the base chambers – and all this really has to be done before we can do a test. 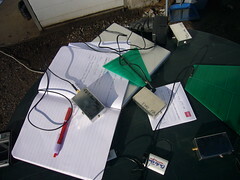 From the sniffer tests I did today, I really have to insist on spending time to decide how to fix the antennas on the fountain. I really need to be able to adjust them, rather than them being fixed in a static position. I am going to push forward to try and get them installed in steel goose neck tubes (or an alternative), so that the public can move them too. Had hoped to set the LAN box channels today, but it was just not possible. Tommorrow’s another day! The lovely weather has broken. It’s damp and dreary here in Skien today. What a pity. 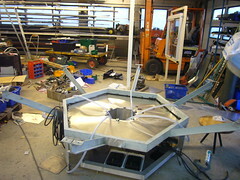 Arrived at Frank’s workshop to find the mechanical installation of the EM Fountain almost complete. 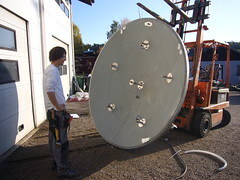 The base shown here is now the right way up. 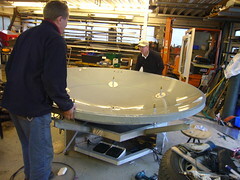 Frank and Atle place the bowl on top of it. I go back to my hotel (functions as office/studio) to check them out but find that the power adapters are not included in the package from Martin. The shops are closed, so I’ll have to wait till tomorrow to test them. (Wish I’d noticed this earlier.) One thing that is apparent is that it is going to be a real challenge to find out how, and where to mount these on the fountain, and how to protect them from the elements ……. The electrical installation should be complete (or as least as much as it can be before the dmx switch box arrives), so I hope to start testing everything with Marius tomorrow. Hopefully there’s time to get adapters for the sniffers too. Yesterday I brainstormed my ideas for controlling the EMFountian with Mattias, an MA student at the Academy of Fine Art in Bergen, Norway. The aim of the session was to make a plan for developing a simple control system for the fountain that can be developed over time. We ruminated together over using parts of existing max/msp/jitter patches which we have each developed for 2 different projects that used similar/related soft- and hardware elements. I put my patch for the Emotion Organ (made with the help of, amongst others, Piotr Pajchel) on the table, and Mattias brought out a patch he made for When You Hunger Number One, a sound/light installation by Asbjørn Hollerud. “The fiddle~ object estimates the pitch and amplitude of an incoming sound, both continuously and as a streem of discrete \”note\” events. Fiddle~ optionally outputs a list of detected sinusoidal peaks used to make the pitch determination. 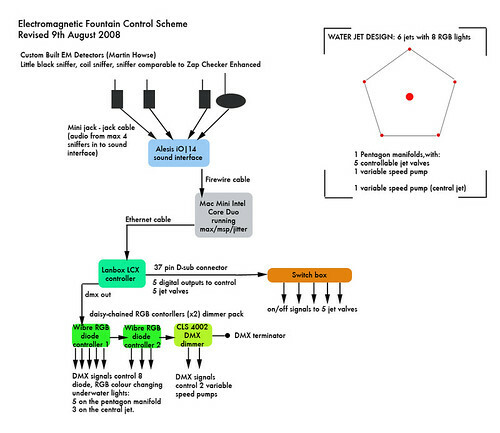 Fiddle~ is described theoretically in the 1998 ICMC proceedings, reprinted on http://www.crca.ucsd.edu/~msp. 2. Let Fiddle find three groups of frequency ranges HIGH, MEDIUM, LOW, and scale them to DMX values. 3. Use the full range of values to control the manifold water pump. 4. Use the full range of values to control the central jet pump, but when passing from one range group to another, the output signal should be set to zero to create a water drop before it rises agian. 5. Asign HIGH range values to R, MEDIUM to G and LOW to B values to control the RGB LED lights. 6. 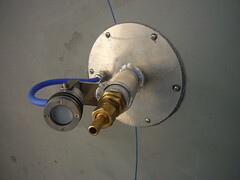 Use the ATTACK signals to open and close the water jet solenoid valves. 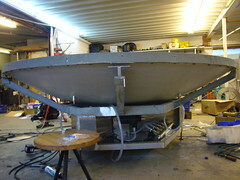 Martin Howse has been working in Berlin on the sniffers for the Electromagnetic Fountain. He has sent me nine audio samples from 4 different detectors where he mainly focused on placing a mobile phone close to different antenna/detector pairs while making incoming and outcoming calls. 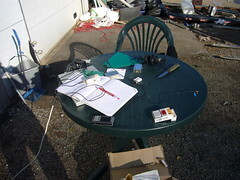 You’ll find links to the sounds below as well as location details and notes that he enclosed with the sounds. 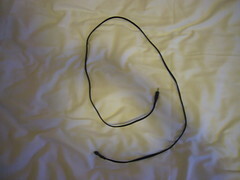 As above but with a bare wire antenna of maybe 1m length. 4m away from the device. ringing and then talking on the phone. maybe 2cm away to be heard. 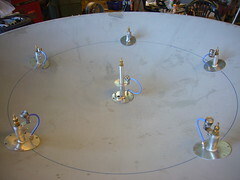 As above but with a chain of six 1mH tiny coils arranged in a circle. necessary to avoid overloading the detectors. they start and stop talking, and how loud they are). Use the digital outputs on the Lanbox instead of Milford DMX relay/switch box to control the water/solenoid valves, with a custom made switch/relay box.